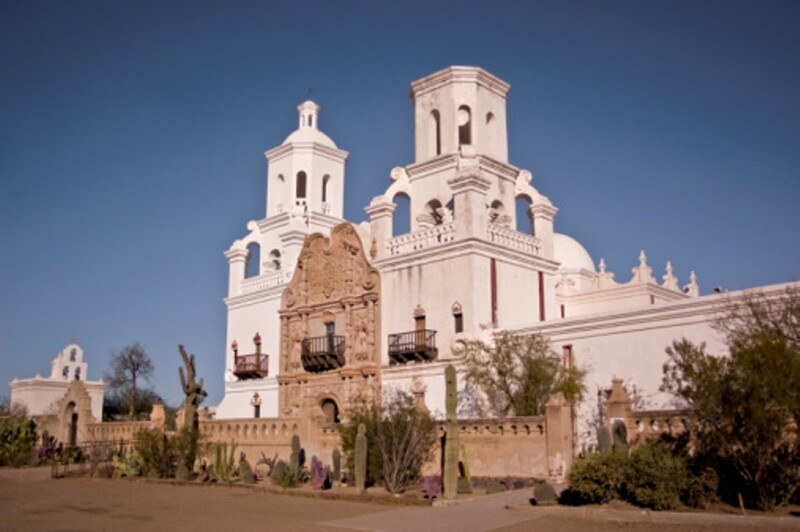 Founded in 1692 by Padre Eusebio Kino, the "White Dove of the Desert" continues to serve the religious life of the surrounding Tohono O'odham community. It is open to the public from 7 a.m. to 5 p.m., daily; free. Free tours are on the half-hour from 9:30 a.m., through 12:30 p.m., Monday through Saturday, except during special religious observances. Traditional O'odham food and crafts are available year-round. Call or visit sanxaviermission.org for more information.